Its Summer and when its hot.. this woman needs something cool and comfortable. My daughter is in town and I knew we would be gallivanting around. 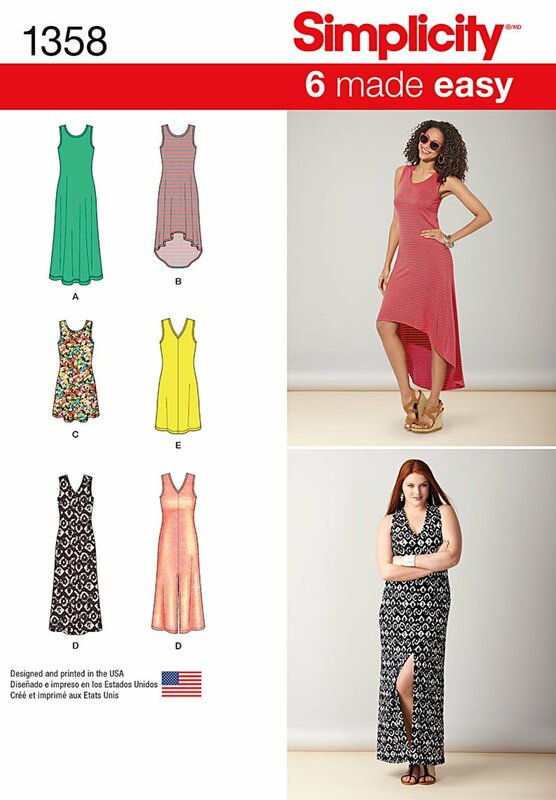 In come Simplicity 1358: Dresses - a scoop neck maxi, high low or short length, also can be made w/ a v neck with center front seam & maxi with or without front slit, and short lengths. I love a fast and easy pattern and quickly targeted this lil number. Its just 2 pattern pieces if you omit the facings, and truly challenged myself to see if it would take me 2 hours to getherdone. I used a printed ITY knit from Virgo Fabrics. Also, this post is an ode to Virgo Fabrics, which has gone out of business. I visited Virgo about a month ago and to my surprise learned that they were no longer in business from the other fabric store owners. However, I was not believing it, and called several times over a few weeks, initially just getting a ring tone, by the 2nd/3rd week got a voicemail and left a message, received no follow-up and called again only to hear the number has been disconnected.... so sad. I enjoyed many visits to Virgo Fabric with my mom during our mom & me excursions, also had the opportunity to take a few sewing sisters there. Always enjoyed spending a few minutes conversing with the owner and her sons, picking through their vintage boxes and just enjoying the time there. Definitely enjoyed their discounted fabric and more so their $1.00 rack which was always positioned right outside the shop. The fabric I used for S1358 was from Virgo fabric and pulled from their $1.00 rack - 2/ yds = $2.00.... priceless and will always have a place in my heart for Virgo Fabrics. 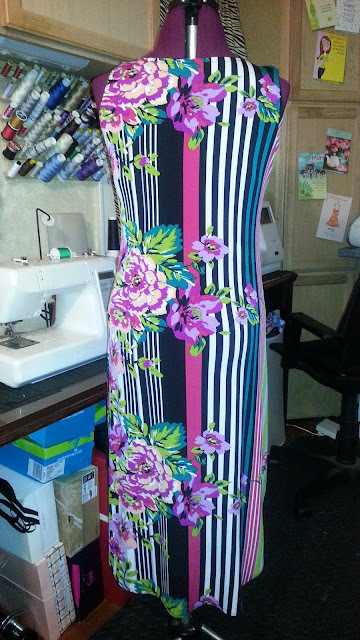 I initially cut a large, but after a quick & dirty tissue fit, settled for a medium, removing an additional 1/8" from the side seams With just 2 pattern pieces, this dress came together quickly. For the neckline, armholes & hemline I just added stitch witchery to stabilize the fold to the inside, final stitched and a quick iron..... done. Well, it wasn't that easy, I did some minor adjustments, at only 5'3" I had to shorten the back length 2-3/4", trued up the edge, removed 5/8" from the shoulder seams and pinned together. I can attest to this being a fast and easy pattern, from cutting to sewing. However, be cautious this pattern runs big and minor adjustments are required, which are not labor intensive but required. A few years ago, I made several maxi dresses and by the following year realized, they just didn't work for me. Of the 6 I made, 5 of them have been made into knee length dresses. However, I am really feeling the high/low. This dress is perfect for a hot summer day and paired with some flats... uber comfortable. With heels one can take this to another level for a night out with friends or a date nite and if a bit too cool top it off with a denim jacket. 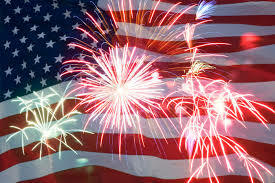 Have a Fabulous July 4th ! This is really cute and flattering! It's always so sad when stores we love close, especially something like a fabric shop. So pretty Sheila love the print! Beautiful dress, well done! Happy 4th of July! I love this dress, great fabric and sorry to read that this fabric source is gone. 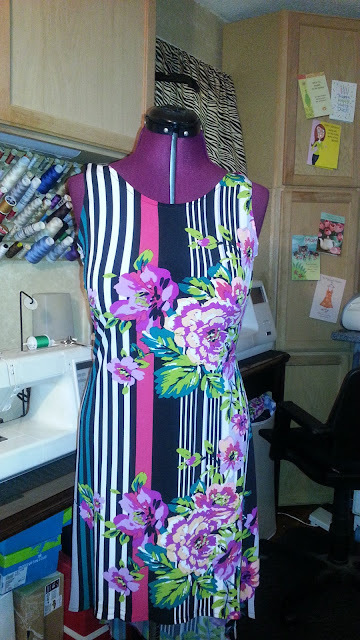 The dress pattern is perfect for this fabric! Great job as usual! Thank you Kyle. Yes... losing another brick & mortar fabric store is a bummer. That area (Pitkin Avenue, Bklyn) used to have a boatload of fabric stores. Now there are 2 remaining. Thank you Freshlysewn. 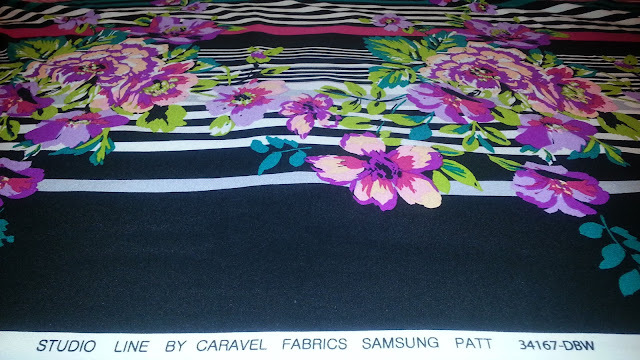 Virgo Fabrics was one of my favorites of the 3 that remained. Thank you Linda. You are so right, the pattern was a perfect pairing for that fabric. Thank you Sister. I surprised myself getting it done in 2 hours. I'm sorry that Virgo Fabrics has gone out of business! It's hard when you hve a fabric store you love and they no longer exist! Love the dress. I want to make one of these for summer too! Thank you Carolyn. Definitely do it, it makes for the perfect summer dress. I was devastated when I found out that Virgo Fabrics closed. It was one of my favorites fabric stores. Love the dress! Such a shame about the fabric store. As others have said, this was a great pattern-fabric pairing. Nice! Thank you Alethia. I know, i am so glad you had the chance to enjoy their fabrics. Sew cute! I may have to move this one up! Than you Terri. .. push it up on your list. . It makes for a comfortable wear.